Twelve cabins now nestle in the woods at Camp Manitou offering overnight accommodation for 120 guests. The cabins each contain bunk beds for 10 and two single beds for staff or adult supervisors. The pine interiors include skylights as well as overhead fans and they can be heated. A pathway system will connect the cabins and a picnic/bonfire area will be created. 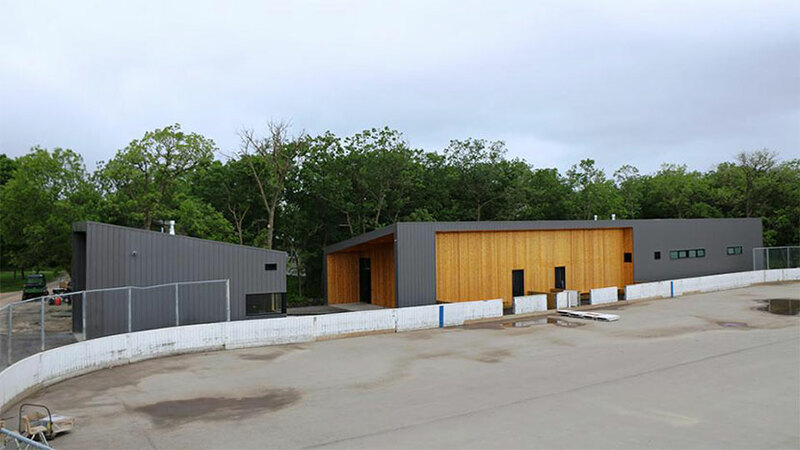 A new washroom and shower facility is located close by and is next to the camp’s rink. It also houses two change rooms with direct access to the ice. A nearby garage houses a Zamboni that had been previously used at the Bell MTS Iceplex. Since taking over camp operations in 2014, the True North Youth Foundation has invested in an accessible playground, climbing wall, zip line, a rope and obstacle course as well as the outdoor rink, toboggan slide and these new cabins. The work will continue with expansion of the lodge planned for next year. While the new cabins take up some of the camp’s 28 acres of wooded space, the True North Youth Foundation is thrilled that 11 acres directly north of the current site have been donated to Camp Manitou. Plans are currently being developed for the new space and will most definitely house exciting new activities for campers as well as allow for the enjoyment of the natural environment. This story was written by Andrea Geary, Canstar Community News.